On February 7, the U.S. Environmental Protection Agency announced it has issued a Request for Applications (RFA) for organizations to help develop a Watershed Implementation Plan that will reduce nitrogen by 6 million pounds to offset the loss of sediment trapping capacity by the Conowingo Dam. Applications are due by March 20 and EPA plans to award the cooperative agreement(s) by this summer. The Chesapeake Bay Program Partnership has unanimously agreed to develop a collaborative Watershed Implementation Plan (WIP) to address pollutants associated with the loss of trapping capacity in the reservoir behind the Conowingo Dam. The Conowingo Dam sits across the Susquehanna River, a major tributary to the Chesapeake Bay. 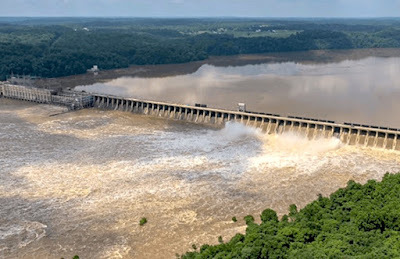 Studies conducted over the last several years have demonstrated that the Conowingo Dam reservoir has reached equilibrium and is no longer trapping nutrients. Therefore, an additional reduction of six million pounds of nitrogen and 260,000 pounds of phosphorus is needed to mitigate the water quality impacts of the lost trapping capacity. The U.S. Environmental Protection Agency is seeking the support of organizations that can develop, finance and implement a WIP. In a Request for Applications (RFA) issued this week, EPA announced that it plans to award one to three cooperative agreements for work that will support the collective efforts of seven Chesapeake Bay watershed jurisdictions, along with other non-federal partners, to help restore the Chesapeake Bay. EPA supports a flexible approach to restoring the Bay through the implementation of a collaborative WIP, which was agreed to by all of the Bay jurisdictions: Delaware, the District of Columbia, Maryland, New York, Pennsylvania, Virginia, and West Virginia. -- Develop a system for tracking, verifying, and reporting implementation of the Conowingo WIP and 2-year milestones. Click Here for more information on the Conowingo WIP Request for Applications.